Posted in News, under . Tagged with branch campuses, higher education, IBC. The number of international branch campuses (IBCs) worldwide will continue to grow in the next few years, new research has found; however, much of the activity will move from the Middle East towards East Asia. 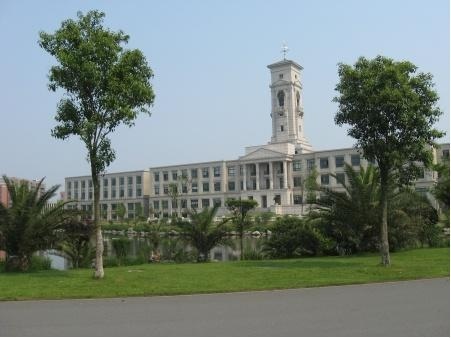 The University of Nottingham, China, is one of 17 branch campuses in the country. The figure is set to rise to 24 in the next few years. The findings are part of a new Observatory of Borderless Higher Education report – its first on the subject since 2009 – which focused on institutions with “degree-awarding powers and dedicated physical infrastructure” operating abroad. It found a total of 200 IBCs to be in operation in 2011 – up from 162 in 2009 – with 37 more slated to open by the end of 2014. However, while the majority of IBCs are still to be found in the Middle East (with 37 in the UAE alone), just one new campus was said to be planned in the region in the future. Meanwhile, the number of IBCs hosted by mainland China has increased by 70% (from 10 to 17) and Singapore by 50% (from 12 to 18). Seven more IBCs are planned for China and three more in Singapore. “North American and European universities I think are looking further east now,” said Dr William Lawton, Director of the Observatory. He pointed to global economic currents and increasing financial support for educational hubs from Asian governments as drivers of the trend. “There is money to spend in the Far East and governments that are keen to become part of what they may see as the global knowledge economy. Hence the education hub phenomenon, of which IBCs are an important aspect,” he said. Other trends identified include the increasing diversification of countries hosting IBCs. There were 67 host countries in 2011 (up from 52 in 2009) with new entries including Bangladesh, Botswana and Lebanon. ‘South to South’ campuses – where both the home and host institutions are in the ‘developing’ world or the Middle East – were also said to be on the rise; a good example being the Islamic Azad University of Iran’s new campuses in Armenia and Afghanistan. Despite new developments, the main providers of IBCs remained unchanged since 2009. The USA leads the pack with 78 campuses followed by France (27), the UK (25), India (17), Australia (12) and Malaysia (6). The report also found that while IBCs were likely to increase in number, they remained a “minority pursuit” compared with other forms of transnational education (such as twinning arrangements between HE institutions) due to their higher financial risk.